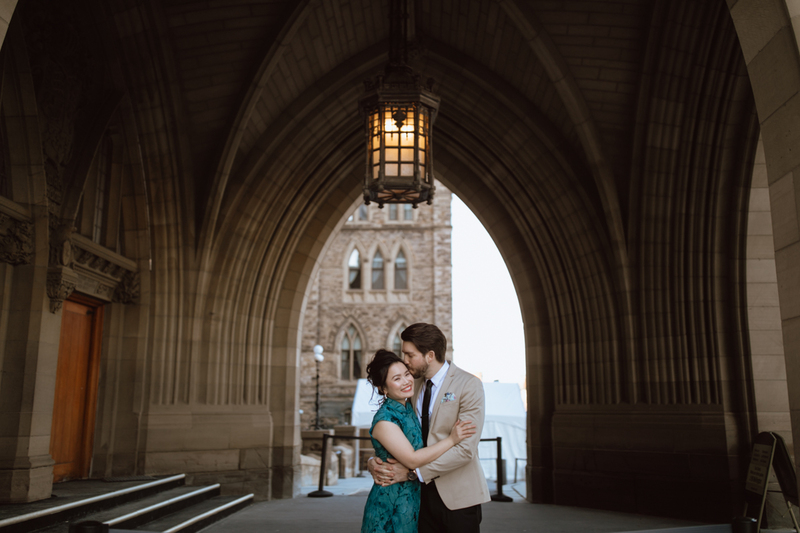 Best Engagement Photo locations in Ottawa. 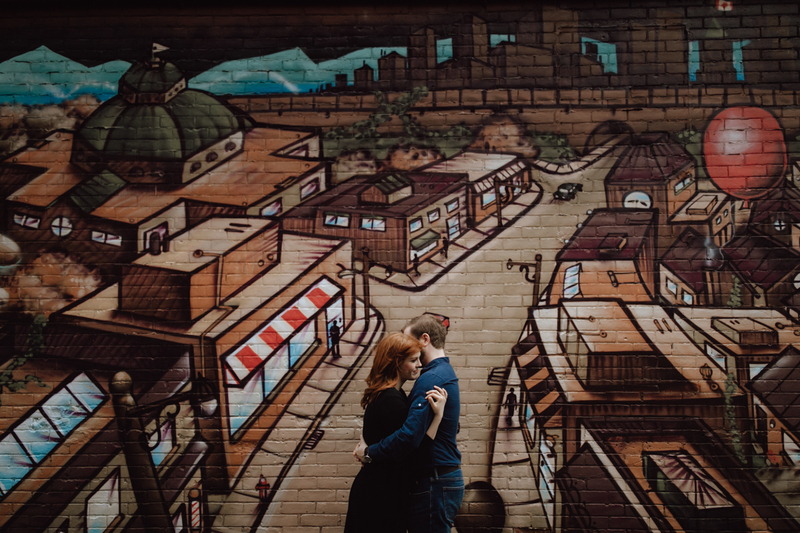 Having photographed couples all over the city, I’m often asked for the best engagement photo locations in Ottawa. Well, I’ve put together this location guide as a reference to find the best spots for your shoot. Don’t hesitate to get in touch If you want to chat about a place that caught your eye, or want to explore somewhere new with me! If you’re looking for a lot of greenery, but want to stay within Ottawa – this one is for you. 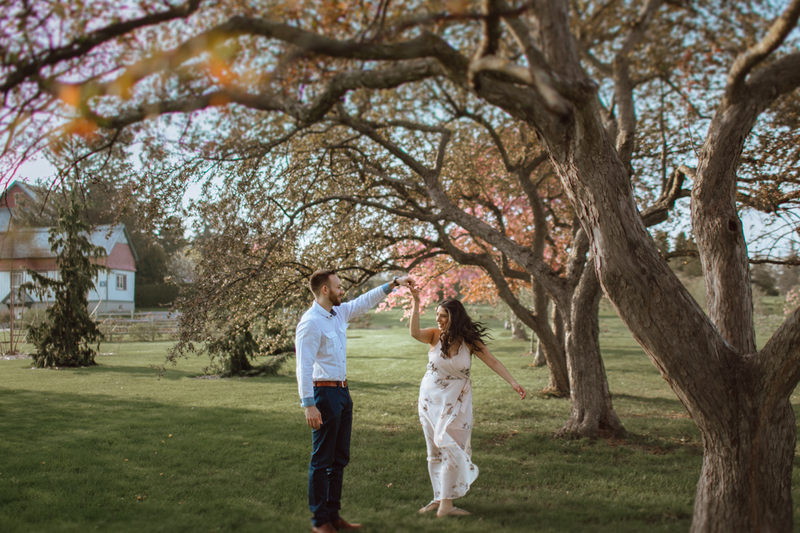 With the beautiful, mature trees and walks along the canal, this spot is one of the most popular for engagement (and wedding) photos. See a full post of an engagement shoot here. Tip: If you have your engagement photos in May, you’ll likely catch those beautiful pink blooms here! The architecture is stunning, as the sun sets, it hits the buildings beautifully and for being the best known landmark in Ottawa, they really weren’t as busy as I thought they would be. 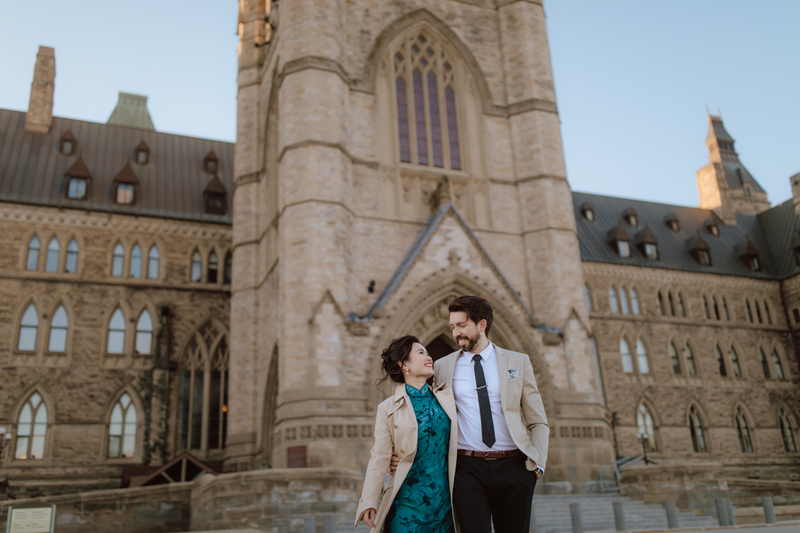 See a full post of Parliament Hill Engagement photos here. Tip: You can include some photos in and around Spark street for a nice contract to the old architecture of the parliament buildings. The Glebe & Lansdowne Park. 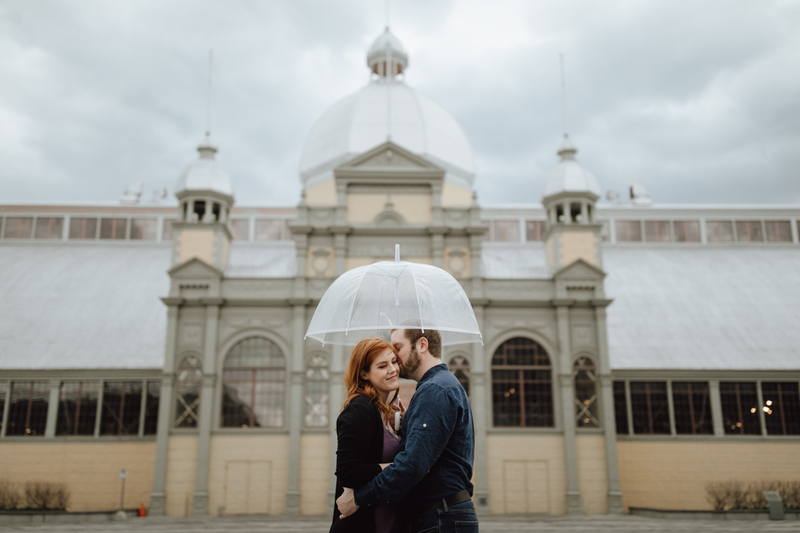 I feel like I could spend forever roaming about the Glebe and Lansdowne Park and so I love when couples choose it for their engagement photos. With tons of red Brick & the incredible architecture of Lansdowne, there are a million options here for unique photos. 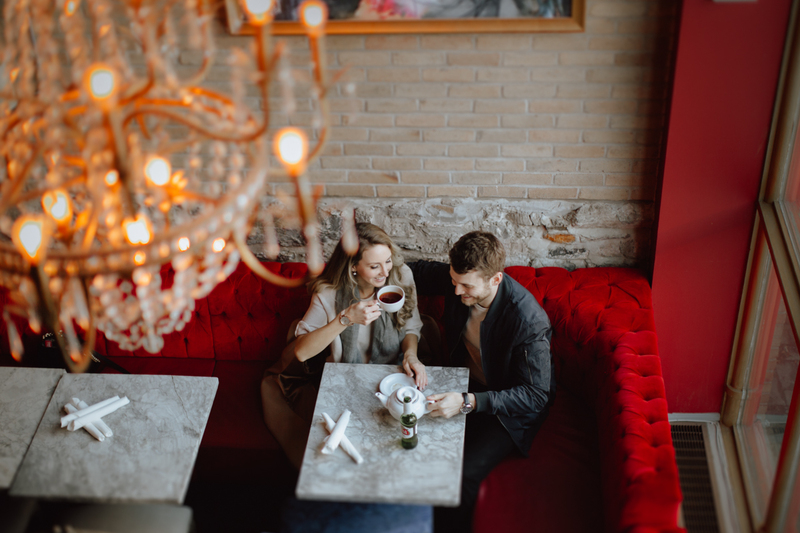 Tip: The Glebe also has a ton of unique and bright cafes to include in your engagement photos (a great option for rainy days or winter engagement sessions). 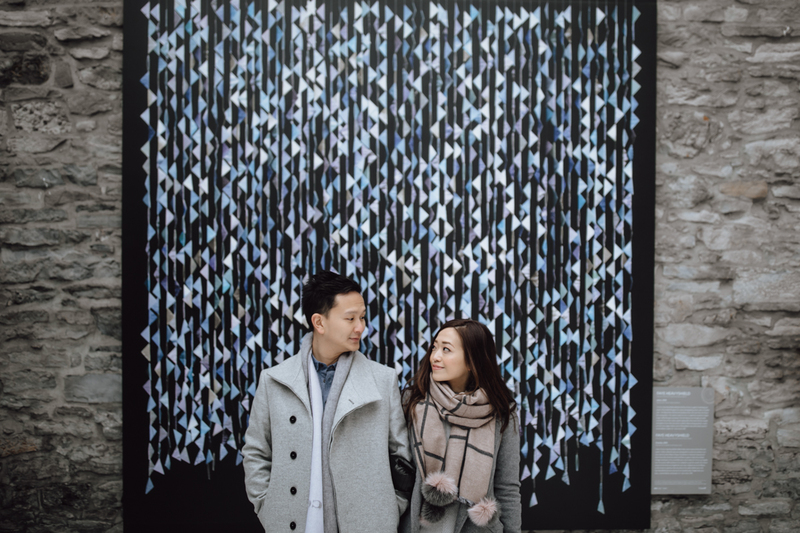 The Byward Market is another popular choice for engagement photos. It has all kinds of amazing hidden gems and is a great spot for every season. Tip: If you like the Byward Market but don’t love the crowds, there are some side streets and alleys like Clarendon Lane, which are often much quieter then the middle of the market! 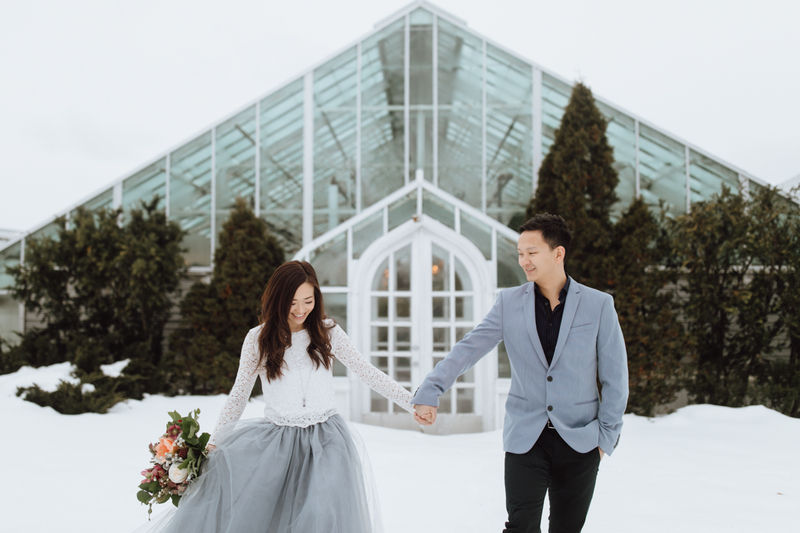 For being just one building, the Chateau Laurier has a lot of hidden gems for engagement photos. 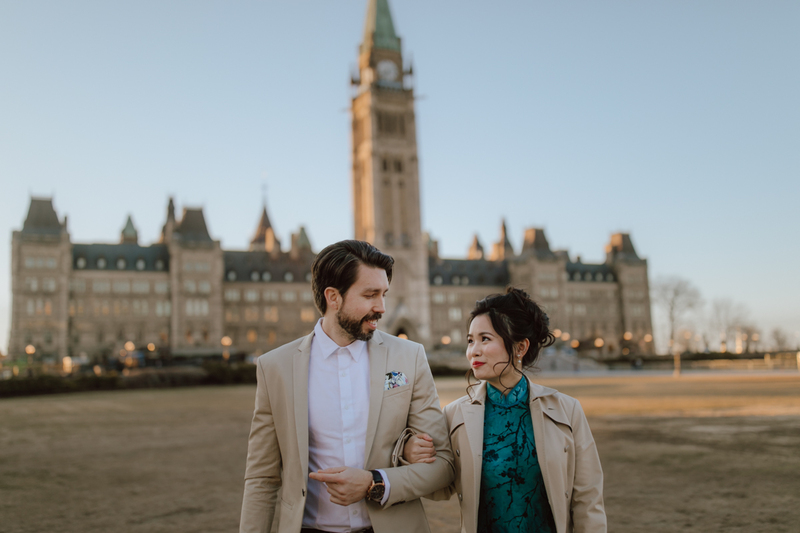 With a balcony overlooking parliament, and Major Hill’s Park at it’s back – it’s one of my favourite go-to spots for engagement shoots. Tip: If you’re both up for it, take your photos at Sunrise for that beautiful light and to avoid the crowds! The Ornamental Gardens are another favourite of mine. Beautiful florals and manicured gardens are always easy to take photos of. Tip: For some variety, you can include photos of the tropical greenhouse just down the road! Did you both meet in a particular shop? Or have a favourite cafe or restaurant? 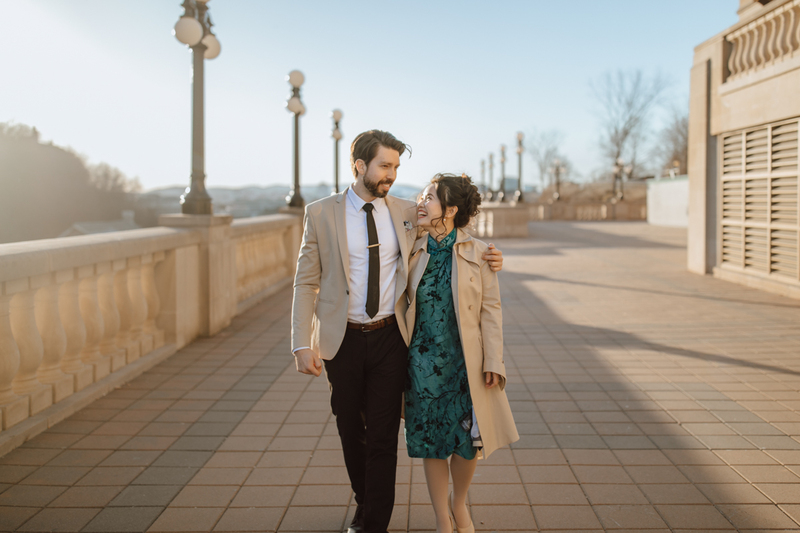 I always try to encourage couples to make their engagement photos uniquely theirs. Including a place you spend a lot or time or that has meaning to you is always a great idea. 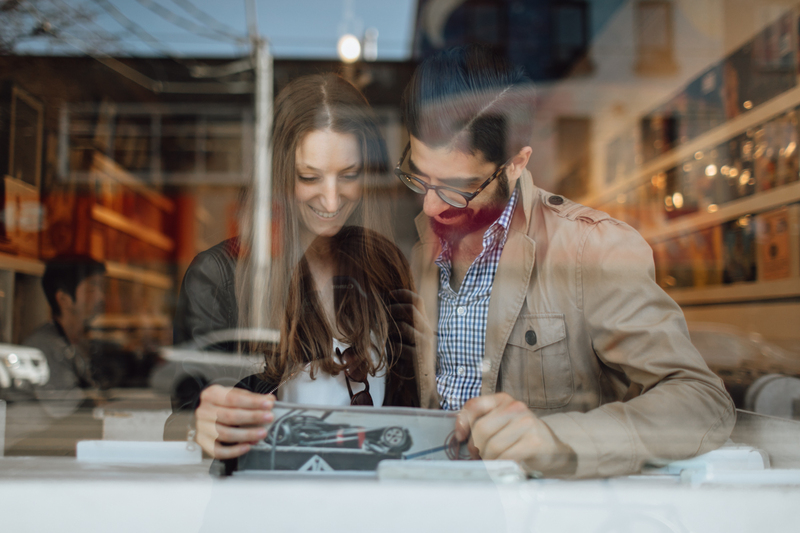 Tip: Asking the store or cafe ahead of time is best as they may have busy times of day when they prefer photos not be taken! 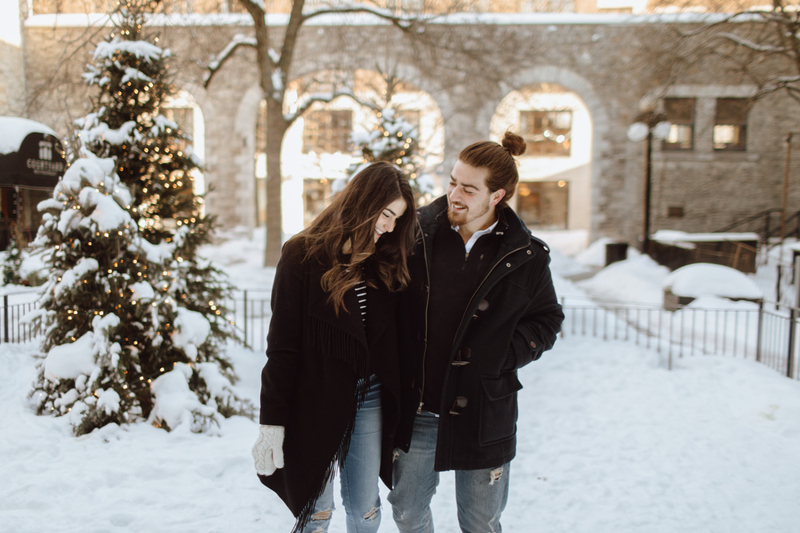 Tip #2: This is also a great option for winter engagement photos, when you may not want to spend a full hour feeling freezing cold outside! 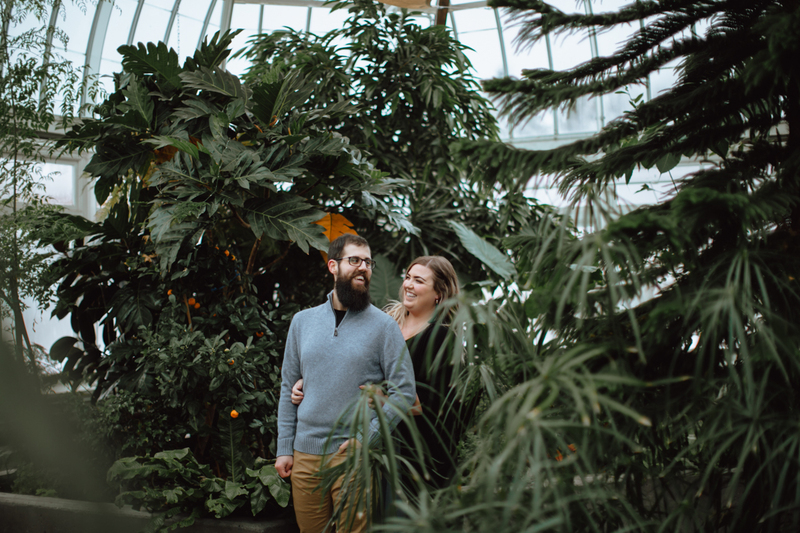 I hope you loved my list of the Best Engagement Photo locations in Ottawa. 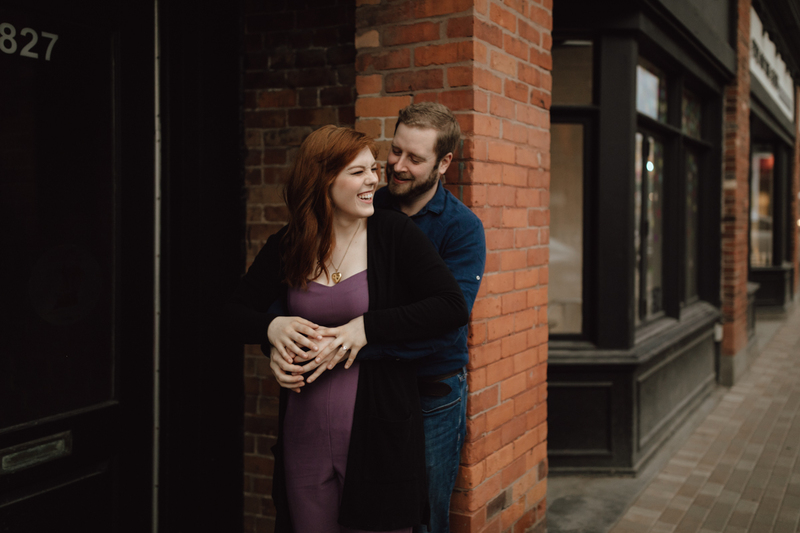 If you’re interested in engagement photo locations in Gatineau instead, I’ll be doing a post soon so look back here!